3-Tier Dumbbell RackDescription:Keep your workout area organized, clean and, most importantly, safe. Our dumbbell racks can be placed against any wall or centered in a room. Keep your workout area organized, clean and, most importantly, safe. 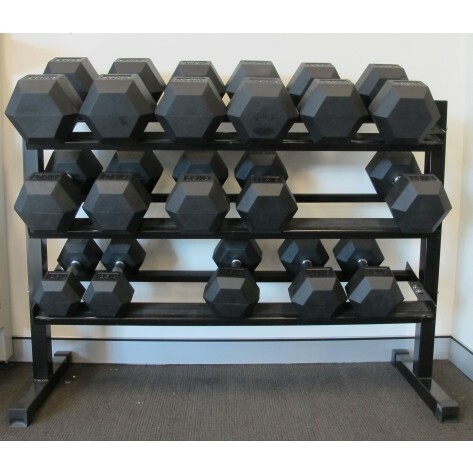 Our dumbbell racks can be placed against any wall or centered in a room.